As premier Pennsylvania commercial movers, George Moving & Storage has the high-tech expertise and resources to relocate your business anywhere in the world. 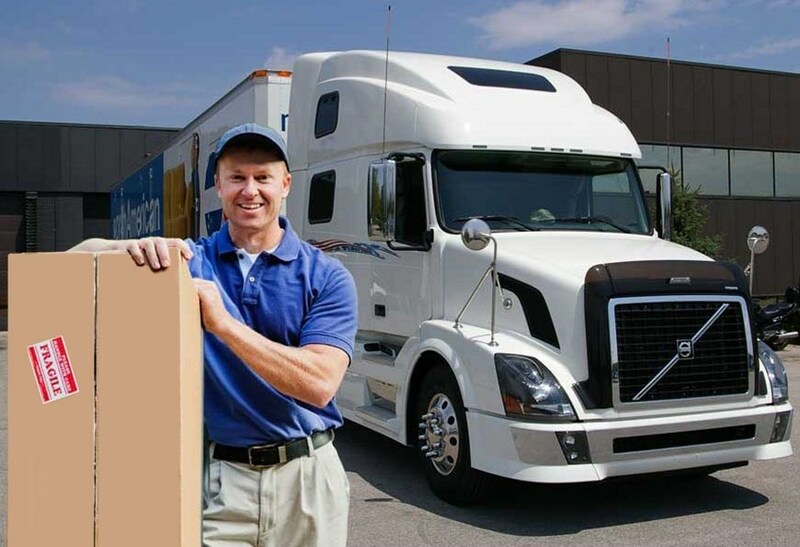 We work with small businesses to Fortune 500 companies for their commercial moving needs. As a customer focused company, we strive to know your business as well as you do. This dedication is what allows us to execute efficient, successful commercial moving services with minimal downtime and a seamless transition to your new location. All while staying focused on the bottom line and your company’s goals. We are Pennsylvania commercial movers who take great measures to protect office buildings during moves to reduce the risk of property damage and subsequent landlord assessment. From project management to installing modular furniture, our competent team manages every aspect of your commercial move. We use our experience to develop creative solutions by coordinating the efforts of the many vendors involved such as Information Technologies companies, and furniture installation to property management. Our project management experience has helped successfully relocate some of the largest companies in this country. Assist you with all areas related to performing the move. Work with you to develop a schedule and sequence of moving events. Conduct packing and labeling meetings with your move coordinators. Meet with groups of individual employees and outside vendors. Work with property management of all sites effected in your move as well as obtain any necessary permits required for your relocation. George Moving & Storage, Inc. has a proven track record with over 40 years of experience and developed expertise in relocating Pennsylvania’s businesses. Whether your move involves data centers, file rooms, large or small offices, libraries, and medical equipment. We have the equipment, personnel, and technology necessary to make your relocation a success. In August of 2008, George Moving & Storage, Inc. successfully relocated over 700 employees for 5 different companies in the city of Pittsburgh alone. George Moving & Storage has modernized the moving industry by developing new concepts and innovative techniques designed to maximize efficiency and eliminate damage. We offer an extensive line of services to provide a turnkey corporate relocation. Service such as computer disconnect and reconnect, certified destruction services, help desk and extensive relocation project management. We are Pennsylvania commercial movers with the competency to handle and transport everything in your office. We work to minimize downtime while increasing efficiency and remaining within your budget. In short, George Moving & Storage, Inc. will safely move you on time and on budget every step of the way, recognizing the top priority for any corporate office relocation is for it to be seamless and transparent to their customers while minimizing the stress on your employees.